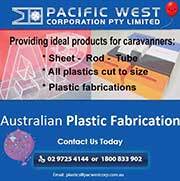 AUSTRALIA'S biggest caravan club will give a helping hand in formulating a Queensland council's new RV strategy. 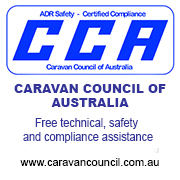 The Australian Caravan Club (ACC) said it was "delighted" to accept an invitation to actively participate in Mackay Regional Council's consultation phase. The invitation was extended to the club during its recent three-branch muster at the Sarina Showgrounds. 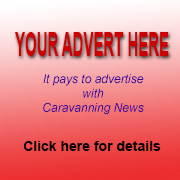 Chairman Craig Humphrey said his club had already assisted councils and communities in learning how they could benefit from the growing RV market. 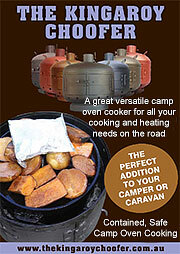 “We have held several RV Industry Workshops now, and assisted councils with their RV strategies. "A survey showed that our members spend an average of just over $100 per day when on the road with their RV. "That can account for a lot of income for local businesses." ACC members travelled from as far away as Victoria to fill the Sarina Showgrounds for the special North and Central Queensland muster. More than 60 members from Victoria, Brisbane, Gladstone, Mackay and Townsville attended. They were joined by Mr Humphrey, club membership director Graham Christie and former chairman Lionel Mussell. The turn-out far exceeded expectations, with the club's Sugar City Pioneer (Mackay region), Tropical Tourers (Townsville region) and Capricornia Tourers (Rockhampton region) branches all competing for the largest number of muster attendees. Activities over the weekend included lunch at the General Gordon Hotel following a visit to Kinchant Dam, a presentation by truck driver Peter Lewis from PK's Driver Training about courtesy on the road between RVers and semi-trailer drivers. Local Mackay Regional councillors Fran Mann and Karen May provided members with an overview of the draft Mackay Region RV Strategy. "As club chairman, the event provided me with an opportunity to update our central and north Queensland members on various club activities and receive feedback, while at the same time enjoying friendships and hearing how their members and branches are going," Mr Humphrey said. Event organiser Paul Eyles, of the Sugar City Pioneers, said he had received positive feedback from members. "Everyone had a really great time," he added.